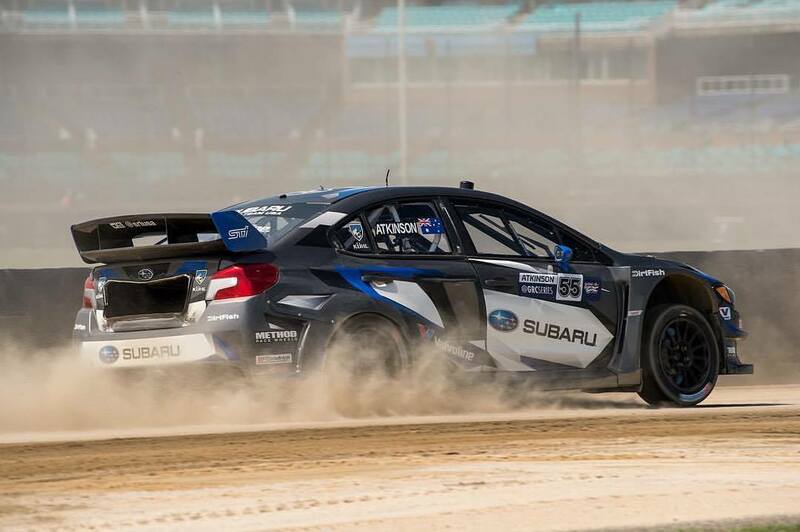 Subaru on the Podium at Red Bull Global Rallycross Atlantic City. 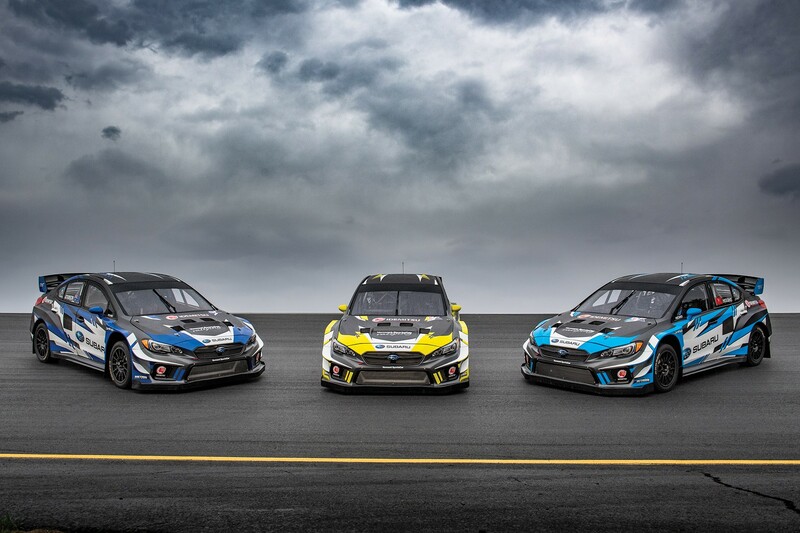 Subaru Rally Team USA’s climb to the top of the GRC Supercar field this season continued with another podium finish for the team and a strong showing throughout the doubleheader race weekend in Atlantic City, NJ. Patrik Sandell highlighted the Subaru team’s improved pace this season with a hard-fought second place overall finish in the final of Race 1 of the Red Bull Global Rallycross Atlantic City doubleheader. His teammate, Chris Atkinson then achieved a strong result in Race 2 with a fourth place overall finish in the final. 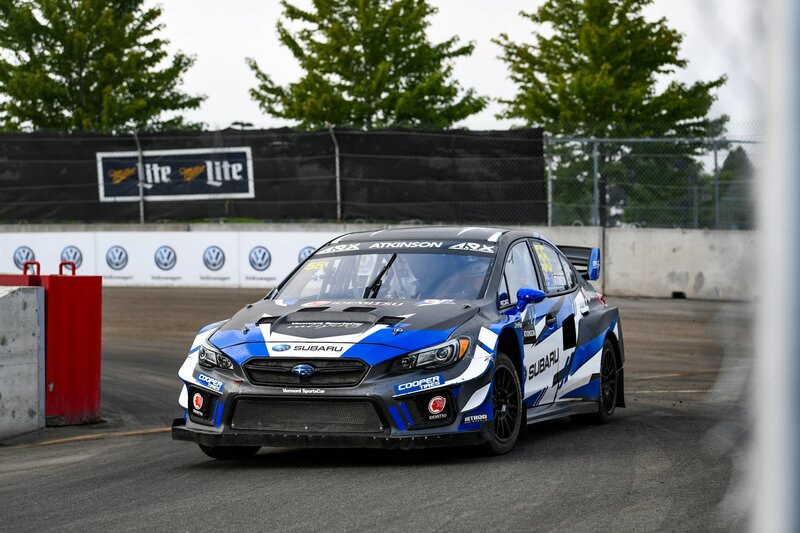 Both drivers, at the wheel of Vermont SportsCar-prepared 600hp Subaru WRX STI rallycross cars, showed impressive pace throughout the weekend with strong finishes in the heats and semi-finals. The team has now started a car on the front row of the final for the past three races in a row, and have earned two podiums in the last five rounds. The weekend began with rain and slick conditions in which Sandell excelled. Sandell earned a excellent grid position for the final after an impressive second overall finish in the semi-final. In the ten-car final Sandell jumped out to the lead early and then lead for a majority of the race. The race culminated with Sandell locked in a crowd pleasing back-and-forth fight against defending GRC Champion Scott Speed, who just edged out Sandell for victory on the last lap. “It was a good race, I was able to have a clean start and I got away quick. I was leading for most of the time, but with my brakes fading I was not able to hold off Scott (Speed) on the last two laps. I didn’t really want to fight him too crazy and risk anything because we were up there, so I’m happy with 2nd and it feels like a win,” said Sandell at the podium. Sandell’s teammate Chris Atkinson also finished Saturday’s semi-final in second place, and started the final from the front row. However, just after the start of the final Atkinson was hit hard by another competitor which broke his rear suspension, forcing him to retire. Sunday brought clear weather and a new day of racing as the double-header weekend concluded. Atkinson took victory in Heat 3a while Sandell finished in second in the semi-final, putting him on the front row of the final. Chaos ensued in the final however as Sandell, who was running as high as 3rd Overall, got pushed back to 5th before being hit hard from behind by another competitor on the last turn of the last lap, forcing him to stop. Atkinson, running just behind Sandell, was able to avoid the carnage and earn a fourth overall finish. 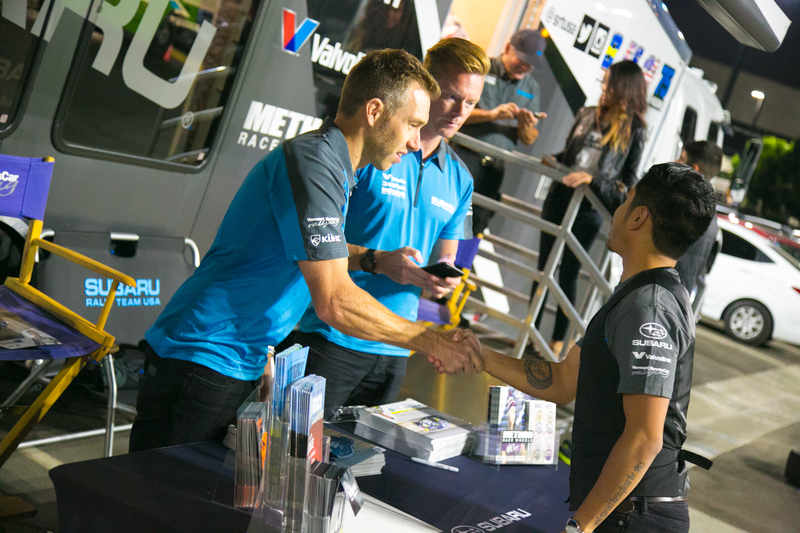 Subaru Rally Team USA will fight to keep their positive momentum going at Evergreen Speedway in metro Seattle, WA September 9-10, home of the next Red Bull GRC doubleheader weekend.